22+ Awesome Blog Writing Examples On Internet! Looking for Blog Writing Examples? Writing a blog post seems painful? Struggling with the ideas and structures? Wanna know how these Internet tycoons are writing their blogs? Writing a great blog post goes through many levels of editing and takes a lot of time. But it’s worth it. Studies show that a blog post with 2000+ words ranks better on Google. You cannot put garbage in those 2000+ words posts. Hence, your post must give some contribution to your reader’s life. Executing your ideas into money making machine. There are some blogs earning 5.3 Million Dollars (example 1) while most of us can’t even make money online. This is a XXL size post and I’ve tried to go into details of blog structures and how famous bloggers are doing it. I will show you 22+ Blog Writing Examples On Internet which are making lots of bucks daily! Many famous bloggers use this style to create amazing content on Internet. They write ‘Top 10 these… Top 20 those…’ and even this article (giving you list of blog writing examples) is written in same style. Examples? In this (example 2) post of Forex Referral they have made a list of 67+ Affiliate Programs. This number is huge and it can easily get thousands of clicks daily! Studies show that a reader (or say – a digital reader) barely spend 3 seconds on a blog. The List Numbers attract the readers INSTANTLY. Even Google promotes listing posts better than others. It is a perfect match for busy audience. Reader wants to crawl down the content before reading in-depth. Another great examples are the blogs on eHow and WikiHow. These posts are famous for there short and straight forward key pointers. In my recent post on Why Not To Choose Free Hosting? (example 3) I’ve tried the same list oriented concept. AND YOU KNOW WHAT… The quality of your listed items matters the most. And this is where this (example 4) post by Maya Maceka stands. Another great example in this category is this (example 5) post by WPengine where they’ve wrote about listicles in a witty style. Many readers on Internet (Like Me) hate content with no photographs. I think everyone hates this. But what about doing beyond the pictures? If you are doing blogging for a while then you must know that how necessary it is to be active on Pinterest. Forget about Pinterest, Twitter promotes tweets with infographics better. Why You Should Worry About Infographics? Everyone is using them for their content. Give me the name of a good blogger and I’ll tell you how they’ve used infographics in their content. If you go through this (example 7) post by Neil Patel (God Level Blogger + My Favourite! ), then you will see how infographics boost the traffic on your site. 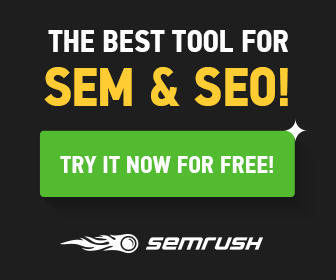 Another great example is given by SemRush here (example 8) which covers the power of Infographics. Analyze how they’ve used great and detailed infographics in their post. Another great example on Internet is this famous blog post by Brian Dean (Backlinko) on ‘How To Rank #1 On Google?’ (example 9). Brian used the screenshots of search results to build a connectivity between common reader and star blogger. I’ve many friends who barely read. And take a moment to think, people are getting content from YouTube and everyone prefers to watch a 8 minute video instead of reading a 3000+ words article. So… You need something to grab their attention! The best part is… I got 473% approx. traffic on my blog. And all this happened just because of an infographic that I’ve used. This is the reason why Blog Posts with rich infographics gives double (or sometime 4 times traffic) on your blogging website. On more great example of this category is this (example 10) article by ProBlogger. Darren (Brain Behind ProBlogger) has maintained a great balance between graphics and written content. And you know what… this post ranks #1 on Google. You don’t need to create your infographics when you can just take screenshots of your screen. This helps to build a connection between start blogger and common reader. In his post on Generating Backlinks (example 11), Neil has done the same technique. Just take a screenshot and… bingo! Write Big But Short… Confused? How to maintain the quality while struggling with the On Page SEO guidelines? Short & Sweet Answer: Length Of Your Blog! Word Count is one of the key factor which ranks your post in SERP. The higher the word count, the higher chances you have. But this is where many bloggers struggle. Writing a blog post is great but pushing your content to its widest makes it look repetitive and boring. And if you pay attention to the psychology of an avid reader then people barely read long blog post, right? People love long posts. They love to read 3k+ or even 5k+ words post on Internet. Because they are getting quality information which will change their lives. A while ago, I used to focus on short posts but one day, I got this amazing article (example 12) by CopyBlogger and trust me, length works! If you look at the site structure of Backlinko, (example 13) you will find that they don’t have so many posts. Their site is structured with a bunch of pages/posts and all of them are above 3k+ on an average. Is it the length which works? According to the recent guidelines by Google, the User Intent matters! User Intent = Satisfaction Of User’s Intention After Reading Your Post. So… focus on providing great and detailed content. Keep it crispy. And use short-sentence-paragraphs (Just like you’re reading right now) to provide reading space for eyes. White space is your friend while writing a blog! Many bloggers use this technique to maintain a balance between heavy content and visual quality. This (example 14) post on making blog plans follows the same concept of writing big posts with small paragraphs. You buy a product and start using it. The product helps you to achieve your goals. You refer that product to your friends, family, followers or readers. With your referral link, they buy the same product. You receive a commission on their purchase! You need to observe the best written posts which will drive massive sales to the product. HOW TO FIND A WELL WRITTEN AFFILIATE POST? Observe the post where blogger is referring a product or some products. There will be an affiliate disclosure in between the content. The blog post will force you to consider the product for once. If you hover your mouse (PC) or Hold (Smartphones) the referral link, you can see the third party link (amazon, commission junction, share-a-sale, etc.). Blogger will genuinely recommend you the product and will not try to become spammy. Affiliate Marketing has all the powers of making huge contribution to your monthly income from Internet. People like her (example 15) are making $65,438.93/Month with affiliate marketing. You can do this too! All you need is a Foolproof & Well Structured Plan to execute. Hitting the heart of reader with minimum words is the supernatural ability of a writer. Are you too the same type? If your answer is a YES! then these types of blog posts are best suit for you. You can make your reader happy with small blog posts while you don’t need to compromise with the traffic graph. This is usually used by Magazine Portals and many readership based blogs to give a short bite of content to their readers. Readers in this category need best advice in least words and we cannot ignore the demand. Examples? See Best Books For Bloggers (example 16) by Melyssa Griffin where she wrote a straight forward round-up post of different links and guess what? This post ranks #1 for the particular keyword. Isn’t is amazing? Another great example is this (example 17) blog on Clumsy Underachiever where brand name just works perfect, driving 45% of total sessions. See? It doesn’t matter if you write long post or short, as long as you are providing quality to your readers, you giving perfect shots! Ever heard of ClickBaits? This is what we will discuss here. ClickBaits drives crazy traffic to your site. The way you write them, it forces your reader to click and read. Your blog post is free to read and readers will not waste a single second to know the secret. ClickBait! What makes a ClickBait post alive? Never write the subject in blog title. Make Relevant Featured Image for the post. Learn to write genuine ClickBait Posts. And if you are on right track then you get high spikes in your Google Analytics. In this (example 22) post on Making Sense Of Cents, Michelle made a suspense for ‘what’ makes you save money on car insurance. Another great example is this (example 23) guest post on ProBlogger where ‘Secret’ to increasing traffic is revealed. It’s not about just ‘Blogging’. Even on YouTube, you will found many ClickBait videos ranking higher and getting hundred thousands of views smoothly. A good content maker plays with the psychology of consumer and this trick always works… ClickBait! See the flow in writing and feel the connection between words and links. Note down the impressive part and practice yourself. This is the only mantra to become legend. You cannot judge the waves by sitting on the sea shore. Blogging is just like that! If this post has helped you in any sense then don’t forget to share it with your friends. You can also like Boss Makes Money on Facebook & Pinterest. If you have any doubts or any suggestions then feel free to comment below. For more content, keep reading Boss Makes Money and till then… Happy Money Making!